Goals & New Years Resolutions. Unfortunately though a majority of people don’t achieve even a quarter of the Goals that they set. There are various reasons, some understandable, some become excuses, but a primary cause as to why most Goals aren’t achieved or even begun at all was because no Action was taken. Action is the essential component that begins any goal. 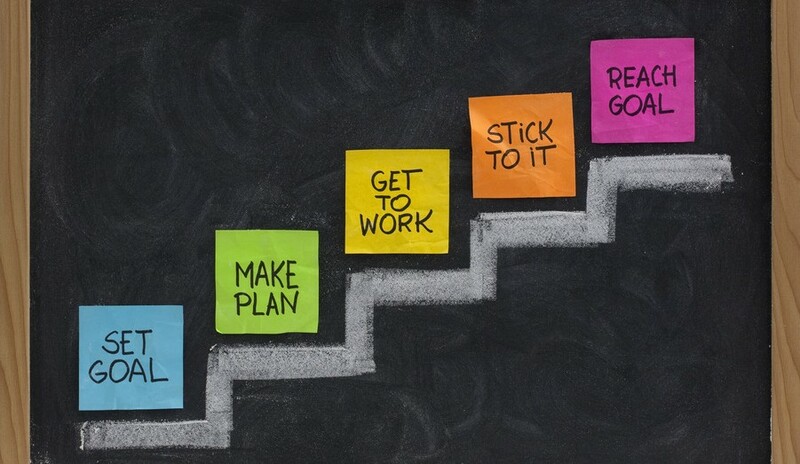 Even formulating a plan to achieve the Goal then discovering that the Goal isn’t attainable within a certain period or not at all is still creating the initial momentum to moving forward towards your Goal. But most don’t even get to this stage. The other essential element to accomplishing a Goal is to create Goals that are achievable. The more you accomplish even minor Goals, this creates a positive inertia, an energy that ignites an inner passion to attain larger Goals. Have short and long term goals. The long term goals are usually your unattainable goals in the short term. But also set short term goals that help to achieve the larger ones. Every journey begins with footsteps. But you never know where that journey will take you unless you take those initial steps. Those initial steps are the “Actions” that will get you there. Decisively, if you can remain on the journey, persist through the thick and thin and one day you will achieve those Goals. If YES, than what has stopped you from achieving or taking action towards those Goals? ← Which Social Media Accounts Work For Me?